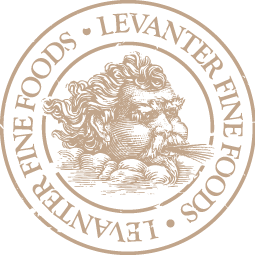 LEVANTER FINE FOODS – Authentic cooking and produce from the heart of rural Spain. Tapas–due to its nature–is informal and relaxed. 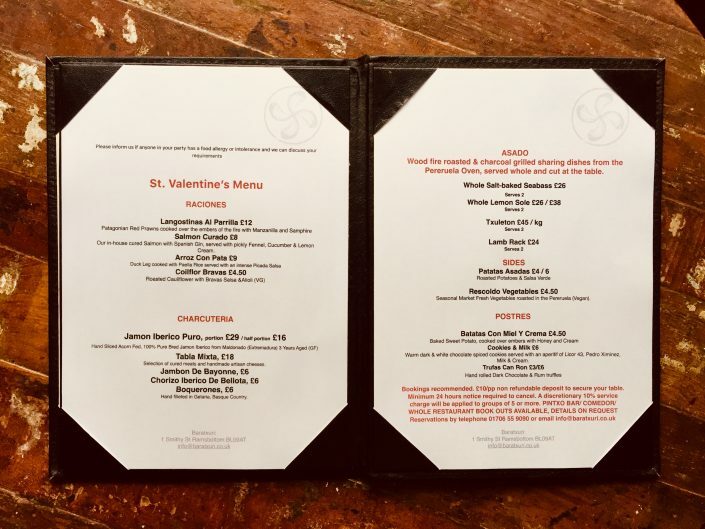 Turn up, order some drinks at the bar, grab a table, order some dishes and enjoy the atmosphere. Whether you’re after a quick bite or wiling away the hours with friends and family, your table is yours. Order at your own pace. The Spanish way. ‘Pintxo’ is a Basque take on the Spanish word ‘pincho’, literally meaning thorn or spike. Our pintxos are generally pierced, but not always. All your food & drink is taken care of directly from the kitchen and bar. Let them know what you’d like, they’ll serve up for you. Keep your sticks, spears and dishes and settle up when you’re ready. 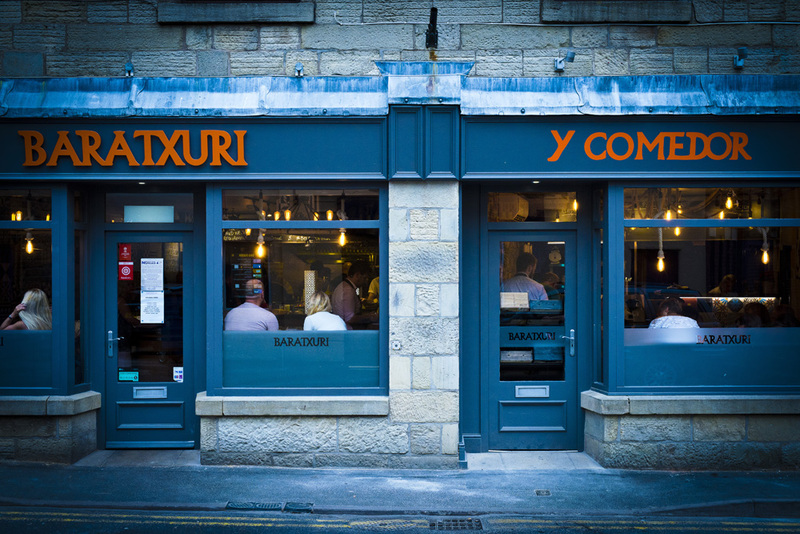 Please call 01706 551530 (Levanter) or 01706 559090 (Baratxuri) during opening hours to book your table. A deposit of £10 per head is required to secure your reservation – this fee will be removed from the total of your bill. 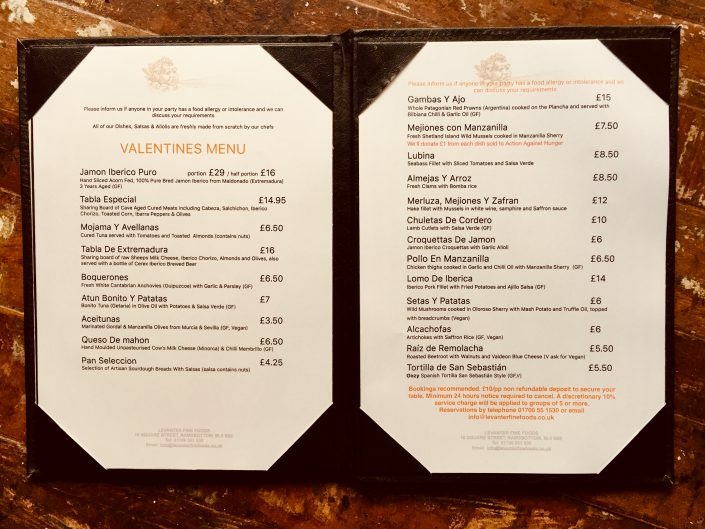 "Popped in for a couple of glasses of wine, two hours later we were full of delicious food and wine. 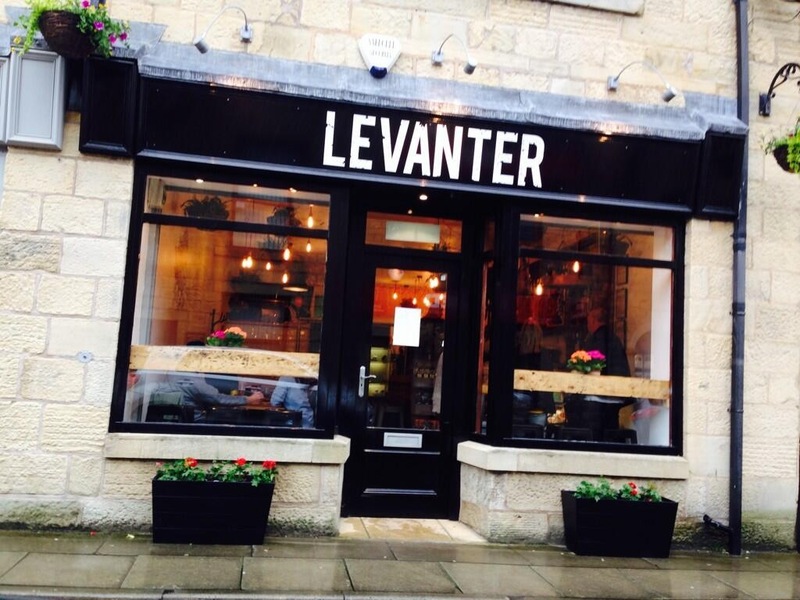 Fantastic atmosphere and friendly, helpful staff. Can't wait to return." 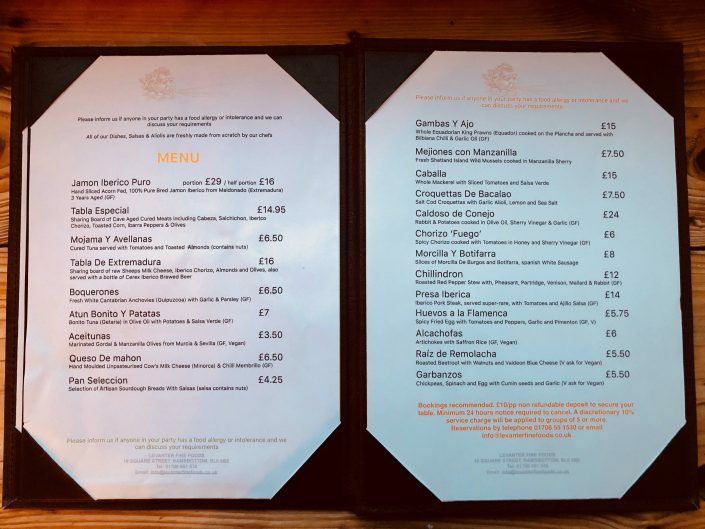 "Called in for a drink last night and ended up staying and nibbling on the amazing tapas! Will be back soon... Felt like I was in Spain!"